When I got the opportunity to participate in the Fiji 2014 Service-Learning Adventure last January, I was impacted in ways I never thought possible. I began my journey expecting to give to the people of Naboutini and improve their lives, but in reality, by the end of the week, I felt like they had given more to me than I could return. Being a culture that is centered on relationships, mutual aid, and togetherness, the people of the village expressed a need for a place to meet, socialize, eat, give medicine, and house visitors. We were able to meet that need by funding and helping them finish a beautiful hall in the center of the village. However, the giving did not stop there. Coming into the village, we too expressed a desire to live amongst the people of Naboutini and learn from them, and they exceeded our every expectation, giving us more and teaching us more then I could have ever predicted. Children of Naboutini embrace Heather. The people of Naboutini that I met and built relationships with mostly taught me about how to treat others. Despite their lack of material things, they exhibited the most hospitality I had ever experienced. They gave us a place to live, more food than we could eat, and someone to guide us through the area, everyday activities, and Fijian customs. The people of Naboutini were also some of the most welcoming and kind people that I had ever met who embraced us into their community. They constantly taught us about their home and culture. Many invited us on adventures in fishing, snorkeling, hiking to waterfalls, dancing, fan weaving, horseback riding, grogging, and many more. The embracing and loving attitudes of the Fijians made me feel at home in a matter of days and showed me how important it is to treat people with such compassion. In addition to learning about others, through this adventure, I learned a great deal about myself. I recognized my ability to handle rough circumstances and different living situations as long as I maintain a positive attitude. This experience of immersion in the Fijian village taught me that I could thrive in new places and situations despite them being so much different than to what I am accustomed to. This service-learning adventure in Fiji gave me new perspectives in the areas of service, community, self-awareness, and international travel. I was able to give a little something to a village in need and gain new friends, thoughts, and viewpoints. International service is a truly rewarding way to travel where you can really learn about the place and the people. I had such a life-changing experience in Fiji and you can too! 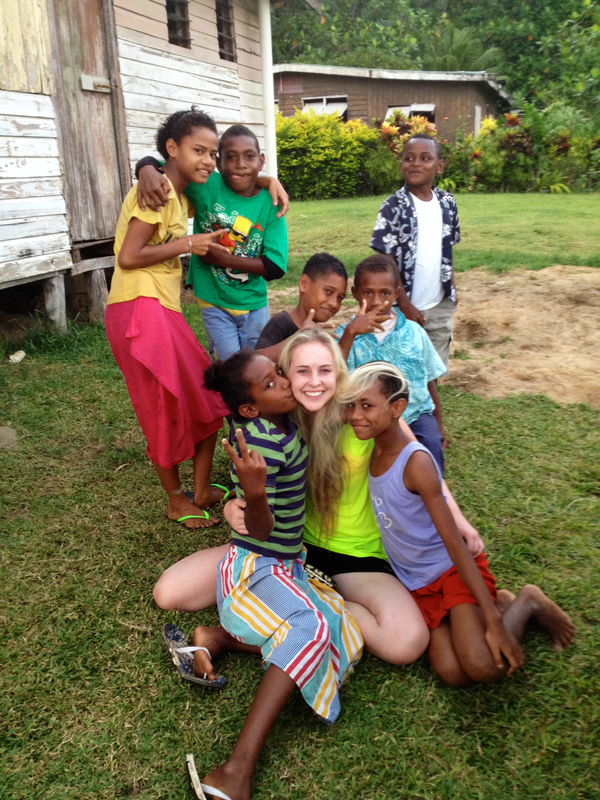 Apply for the Fiji 2015: Intergenerational Service-Learning Adventure! The deadline is this TODAY, April 25th at 3pm. For more information, contact Chris Florentino, chrisf@csufresno.edu, 559.278.7079 or Continuing and Global Education, 559.278.0333. You can also check out this post, this post, this post, and this post, by my fellow Ambassadors on information about other international service opportunities.